I love finding pretty teapots and teacup and saucer sets when I go thrift store shopping. You can find some great sets for as little as $2.00 or a pretty pot for $5.00. 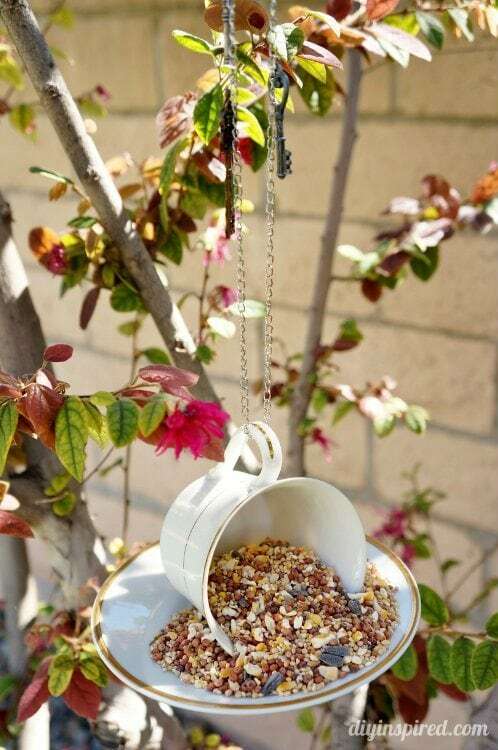 I always wanted to make a teacup bird feeder and I finally got around to doing it. It’s the perfect project for spring. Oh… and it’s SUPER easy! I also have to say, the birds in our area LOVE these! They’ve been constantly munching and my little family loves looking out the window and seeing them. Here is what you need. These are the teacups and saucers I found while thrift shopping. Love the white and gold. I think we may have had similar ones when I was little. 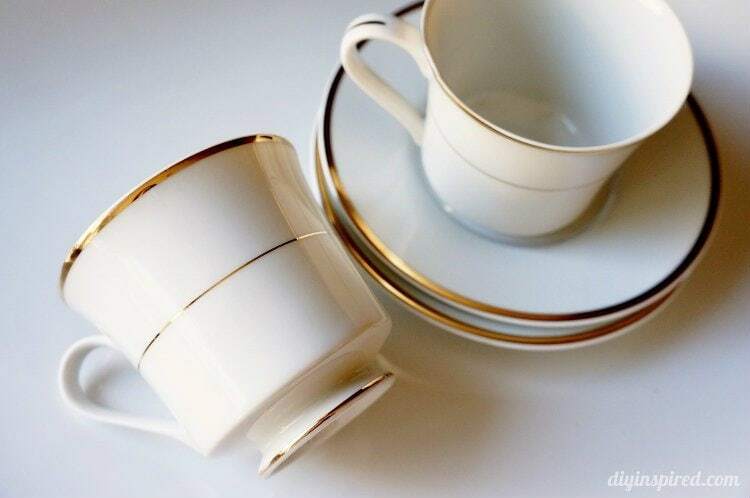 Simply glue the teacups to the saucer with the handle facing up and the teacup on its side. 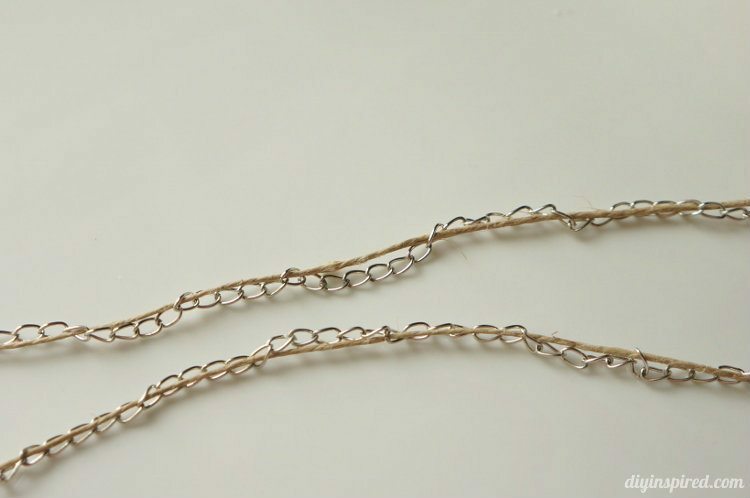 I weaved twine into the chain to make it sturdier. 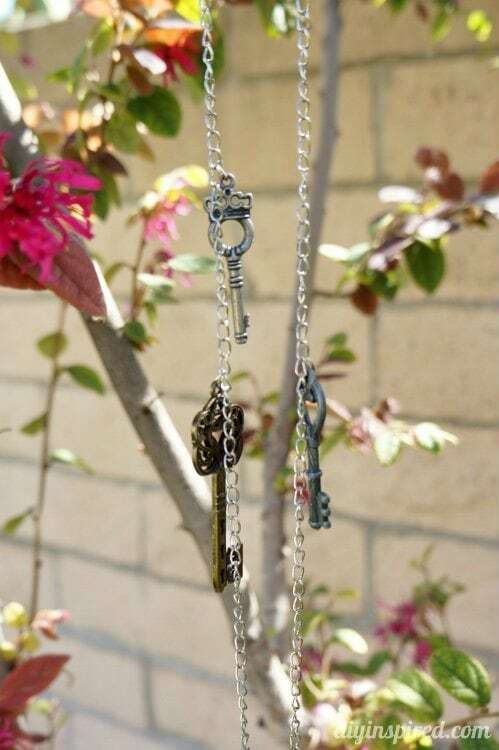 I also added charms with some pliers to the chain. I thought it was a nice touch… hopefully the birds think so too. Here are the teacup bird feeders. I made two. For the teapot, simply add a piece of duct tape inside the pot to close the hole to the spout. 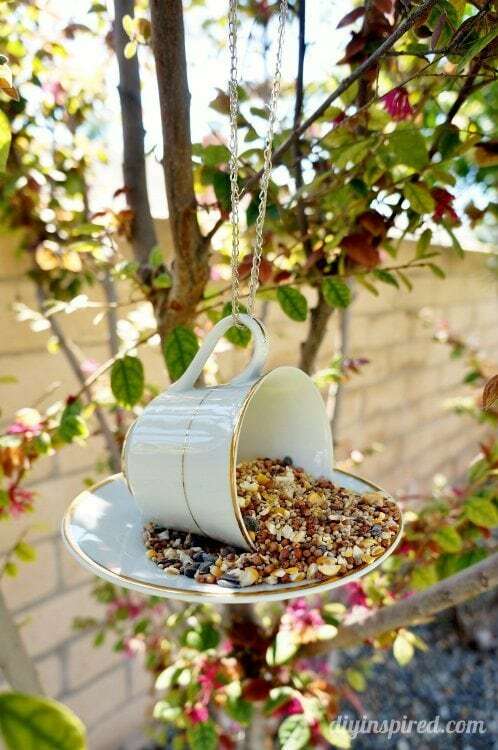 Fill it with bird seed, then hang it on its side. Here are a couple photos. I thought these would make a great Mother’s Day gift or Teacher’s gift. This is such a cute idea! I wish I could try it but I’m pretty sure the possums would attack it before the birds could get to it! Great to find you via the Motivation Monday link up. Hahaha!!! I’m not a fan of possums! Ever since one came threw my doggy door years ago, they freak me out! Beautiful feeder! love that it can be hung almost anywhere! Thank you, Christine! The birds love it still! My daughter and I check it weekly and it needs a constant re-fill! I just LOVE these! 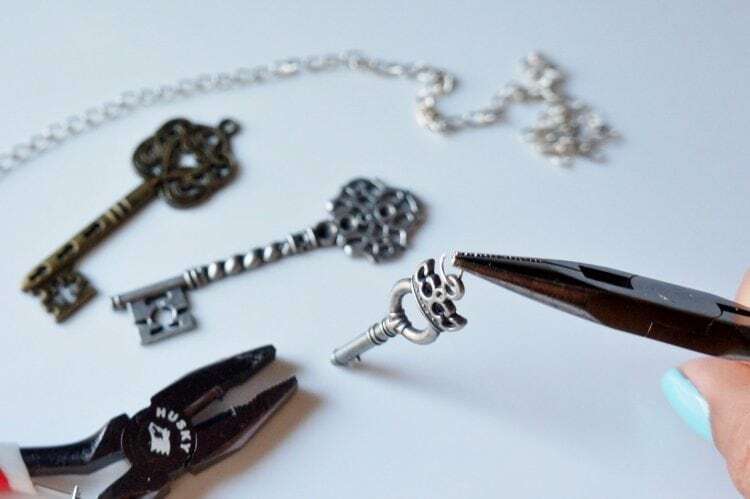 They really would make a beautiful gift, but I would keep them for myself! Thanks so much for sharing at Something to Talk About! I love these! 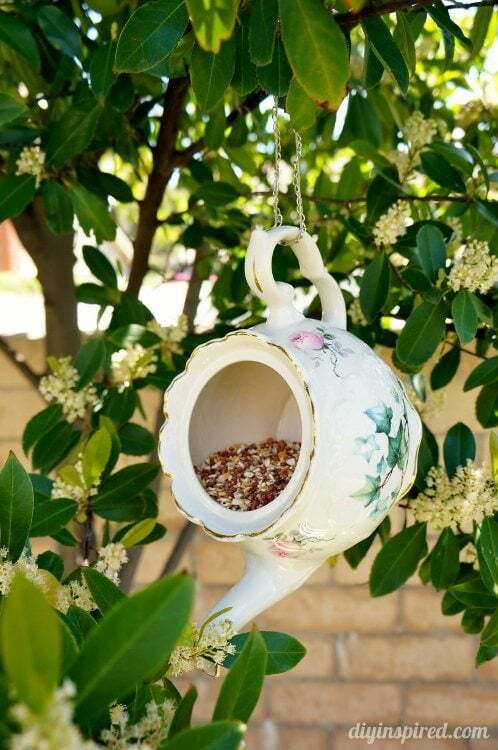 Makes such a beautiful bird feeder. Thank you for sharing your talents with us at Brag About It! Hope you’ll join us again next week! darling and what a great idea……………….. Thank you SO much, Nellie! So glad you liked them! Those are beautiful bird feeders! So simple and easy for me to do. How do they hold up when the birds put wait on the one with the cup and plate? Does it tip at all? Thank you, Brandi! They don’t really tip, well maybe sway slightly, but the birds love it! We’ve filled it many times already. This would be a great teachers gift! What kind of glue did you use? I’ve tried them all (Krazy, Gorilla, Elmer’s, you name it) and none of them worked except for E6000. Oh thank you for your quick reply, I meant to say I did actually use E6000 – maybe I didn’t use enough . . . does it have to be a large glob ? I will try again, because I think these are SO cute!! 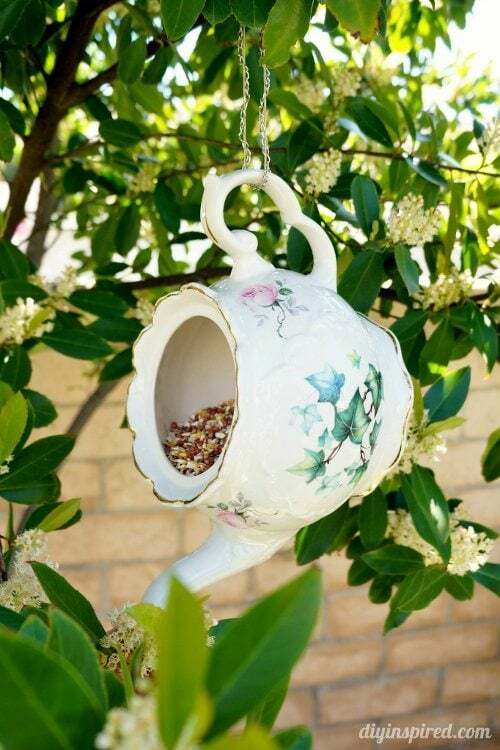 Beautiful bird feeders ,so elegant. They make me sooo happy! It makes me happy that this makes you happy!! Ha!